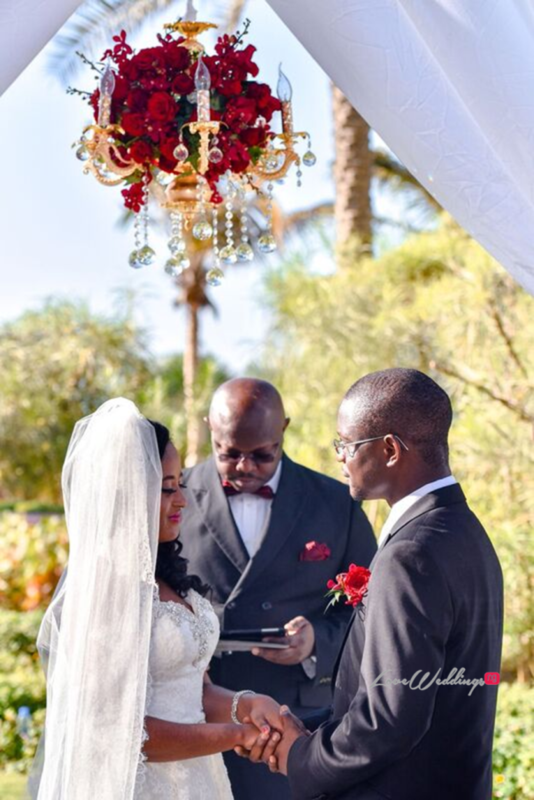 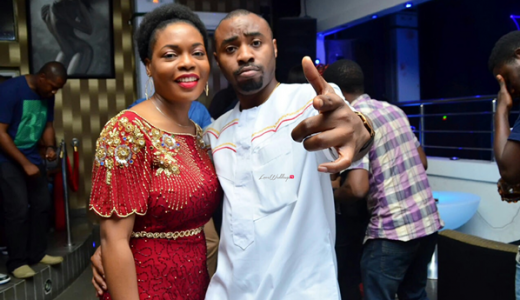 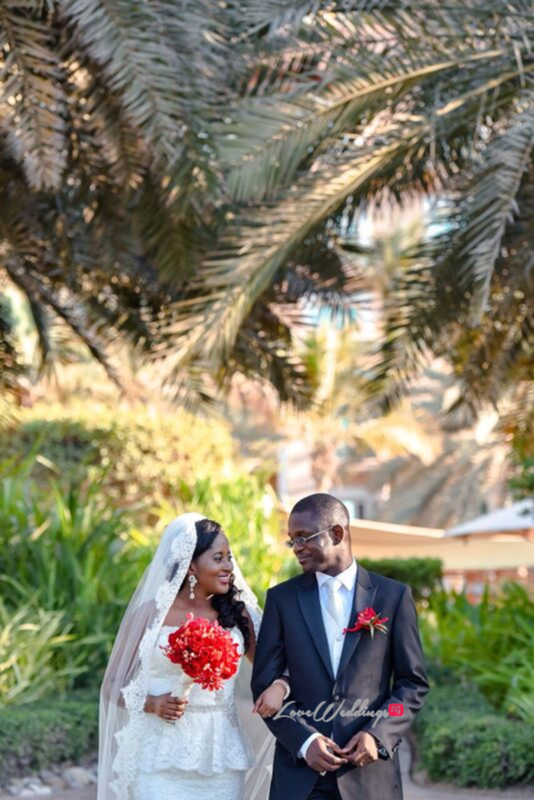 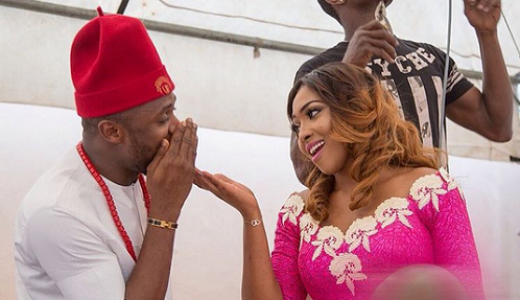 Abimbola and Eluemuno got married on the 18th of December 2015 in Dubai. 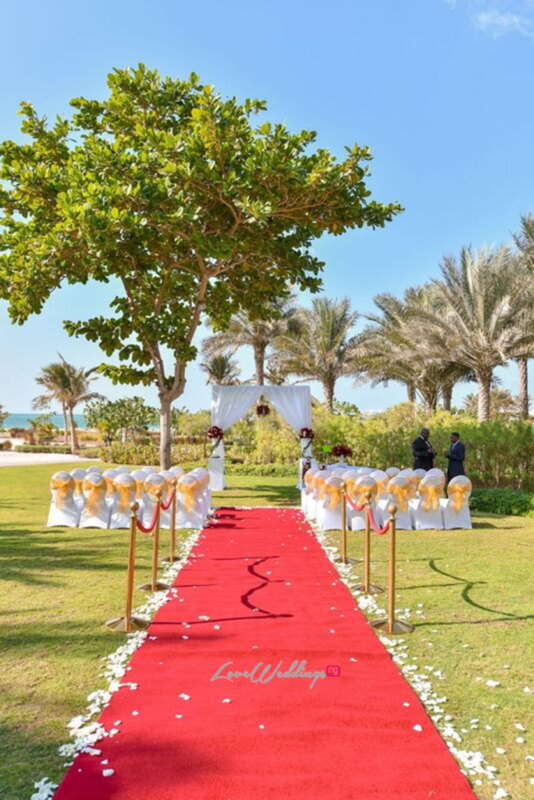 The wedding was planned by Save The Date – a wedding planning company based in UAE, who shared details from the couple’s big day with us. 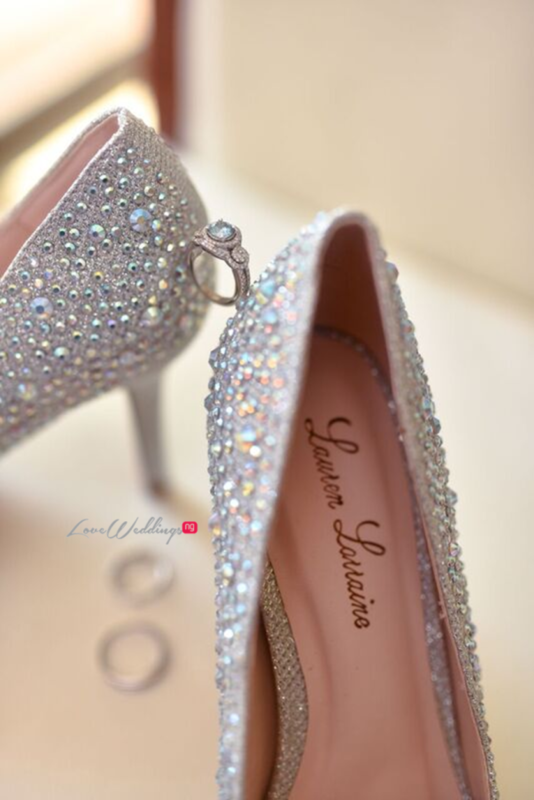 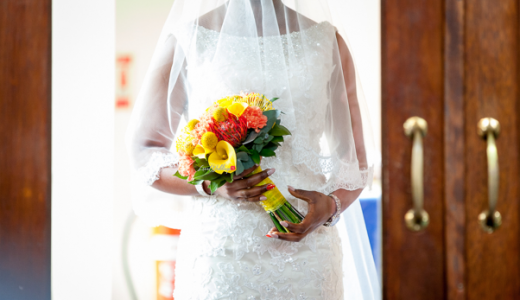 Initially they wanted to have a cozy and intimate wedding for their families and friends. 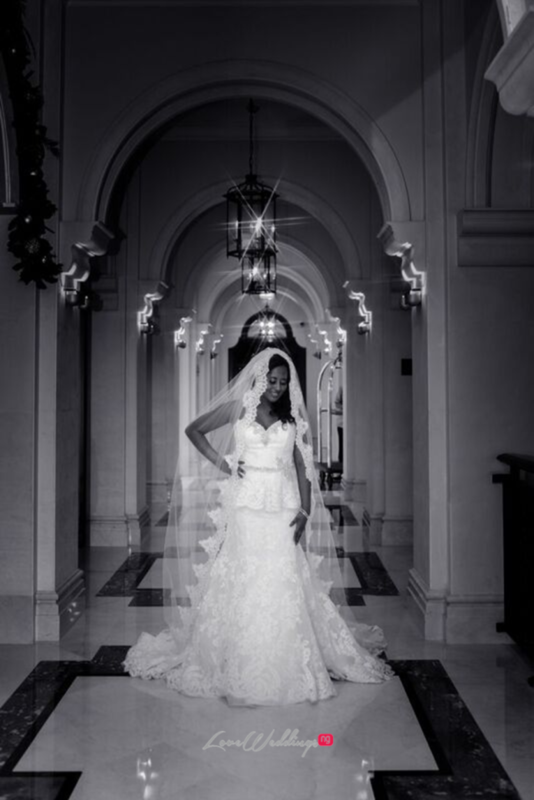 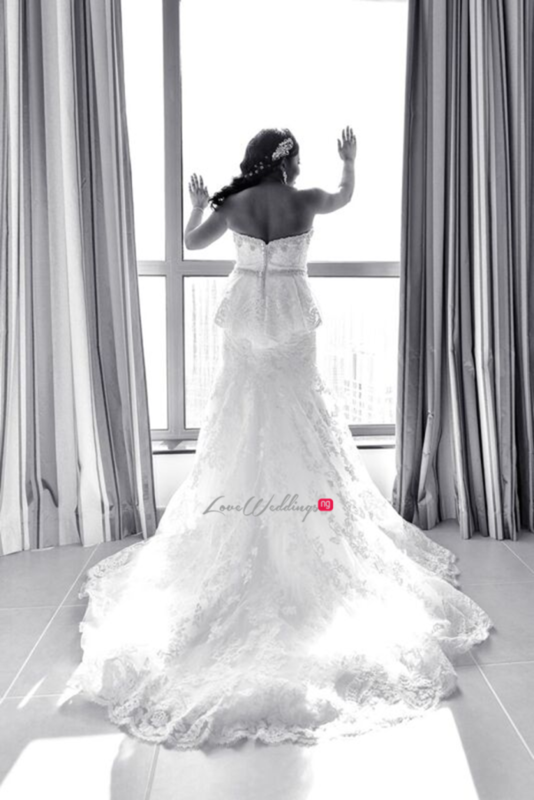 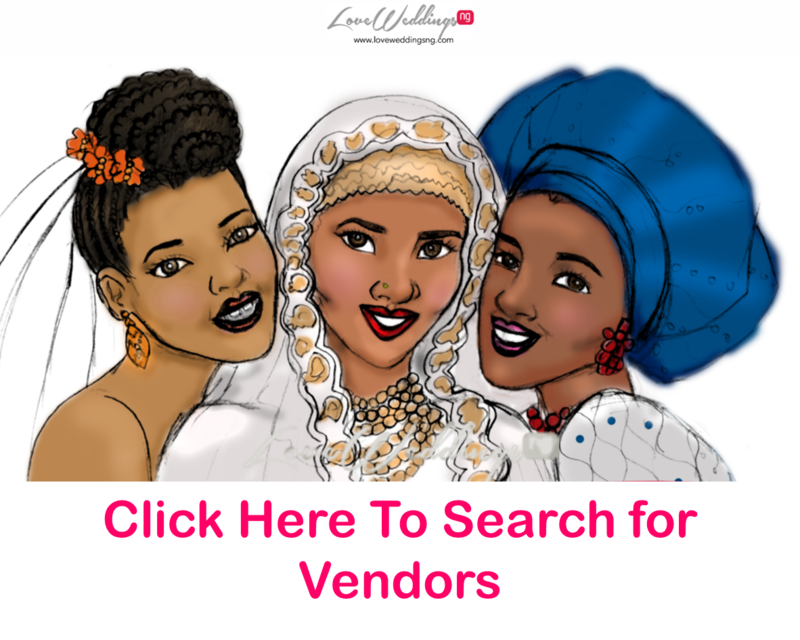 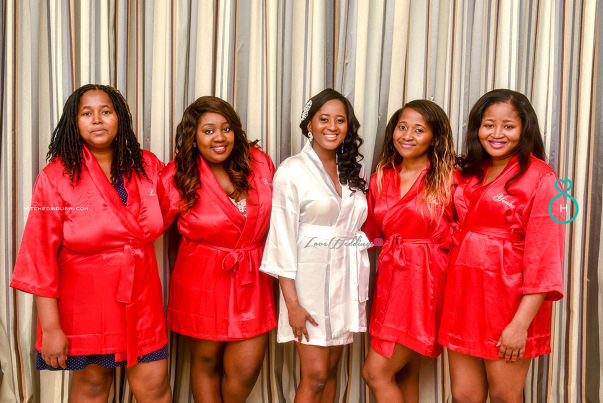 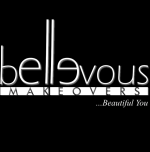 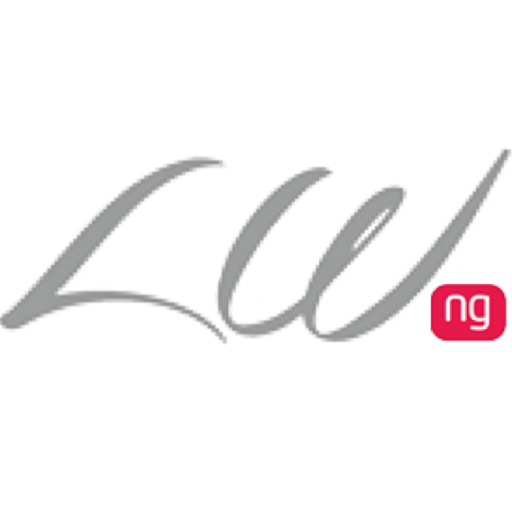 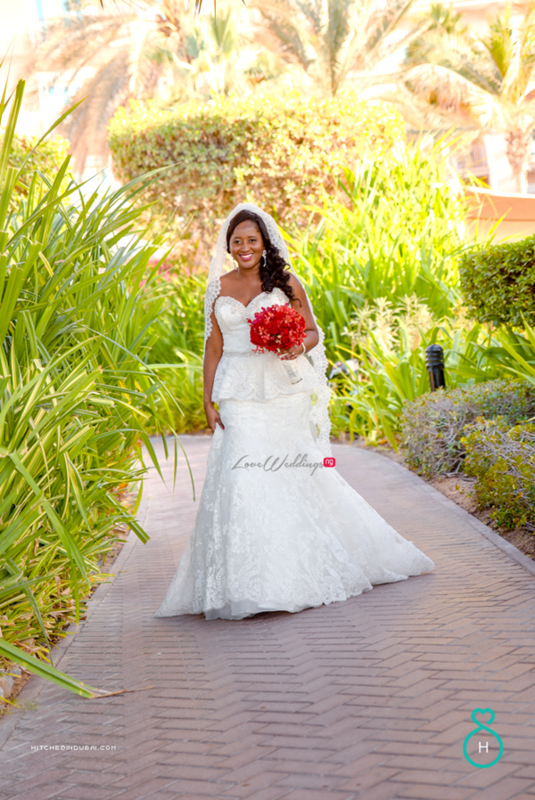 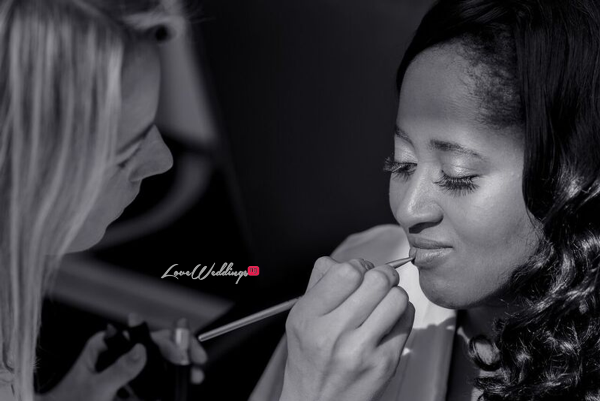 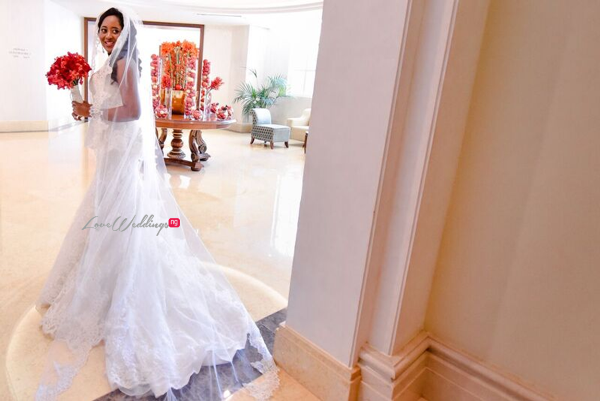 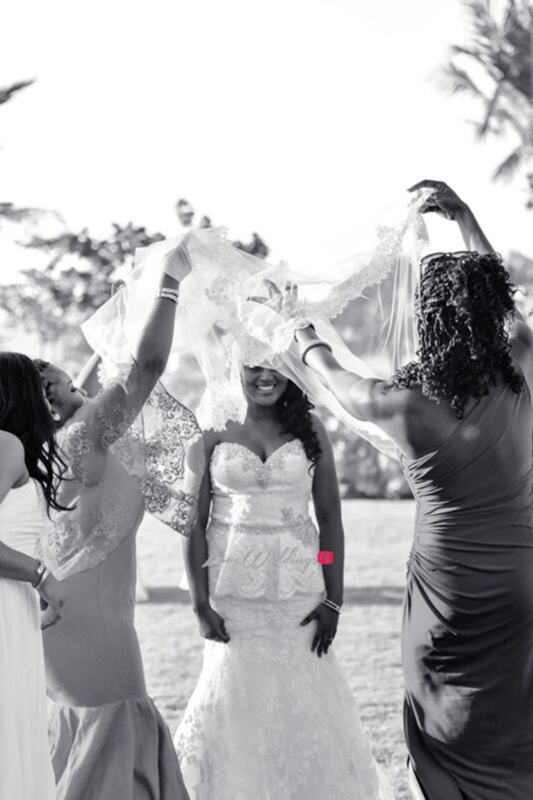 Dubai was thoughtfully chosen as the most convenient place for both sides, as bride Abimbola resides in the United States, while Eluemuno was based in Lagos. 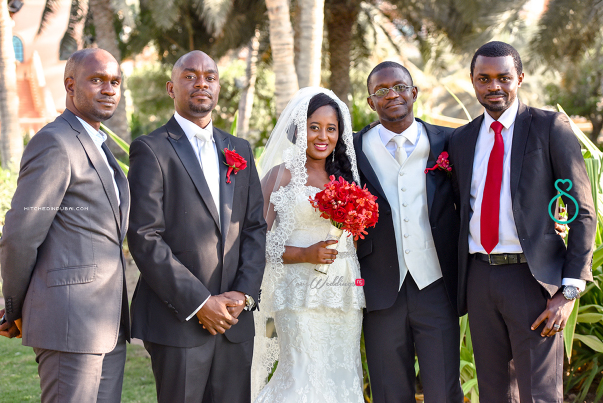 The guests were coming to attend their wedding from USA, Nigeria and England. 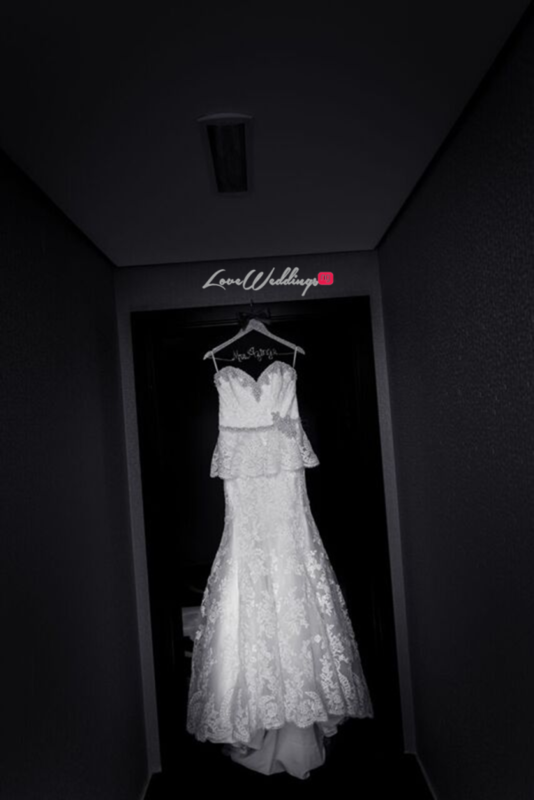 We very soon agreed on the venue, which was reflecting couple’s ideal vision. 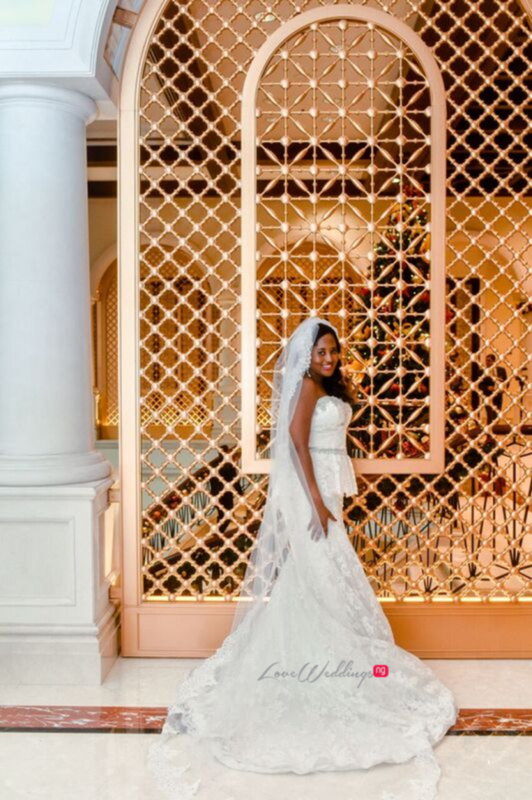 Ritz Carlton Dubai was chosen for the blessing ceremony as well as a reception. 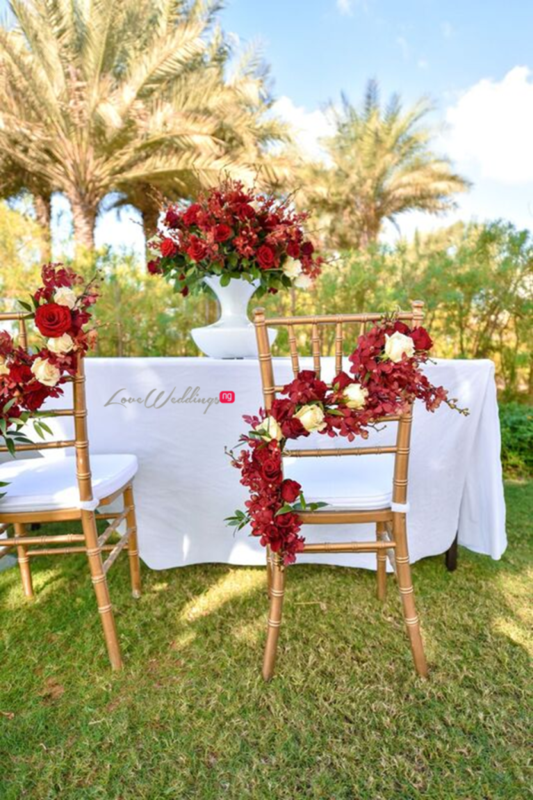 The decision was made to use gold, white and red as main colors of the wedding. 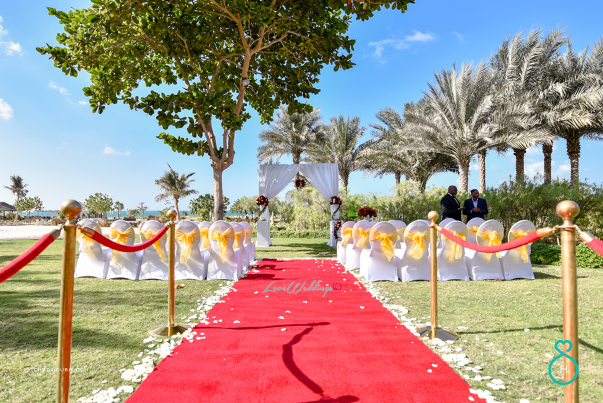 The blessing ceremony began at 4 p.m at the Garden Lawn, one of the loveliest venues in Dubai. 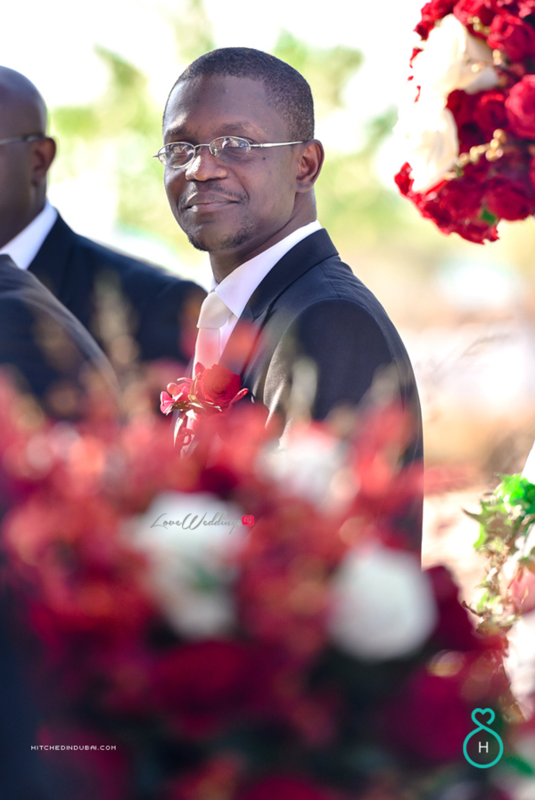 The ceremony was conducted by Pastor Enafaa, a very dear friend of the couple who flew all the way from Orlando, USA. 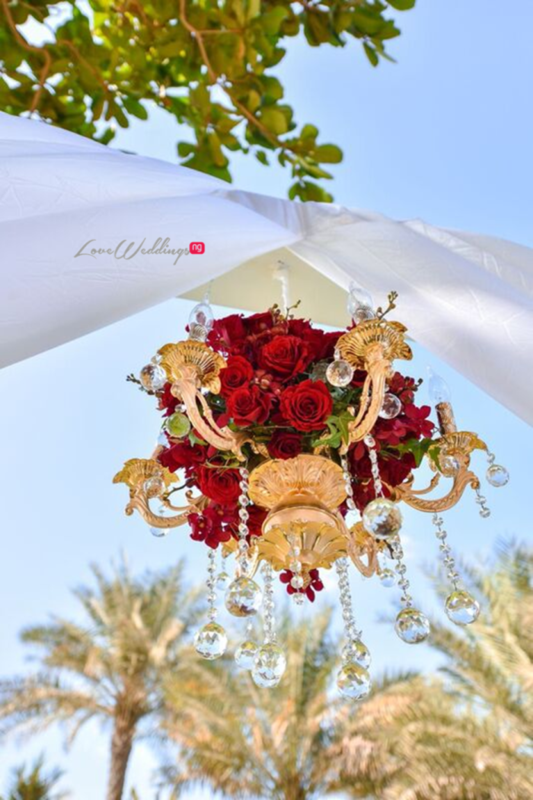 The main accent was an arch decorated with white and red roses and golden chandelier, which added just enough shimmer to the whole set up. 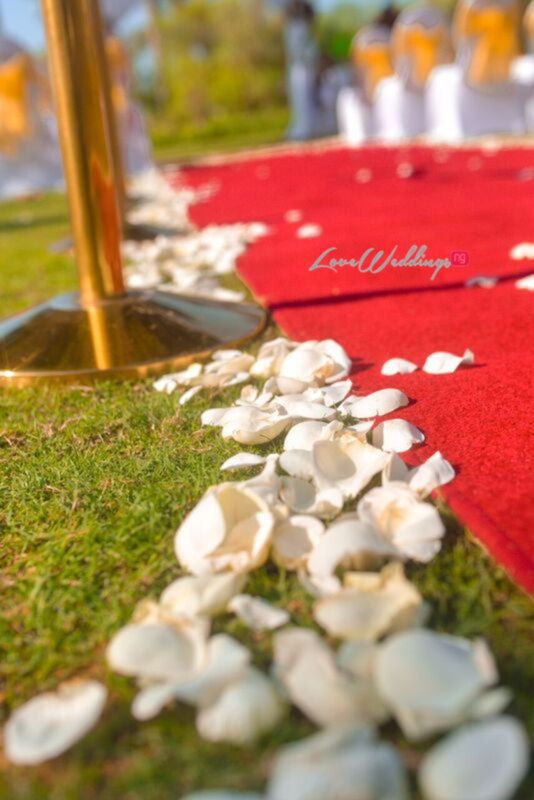 We also used white petals for the aisle and the couple walked down the aisle to the song – “Thousand Years”. 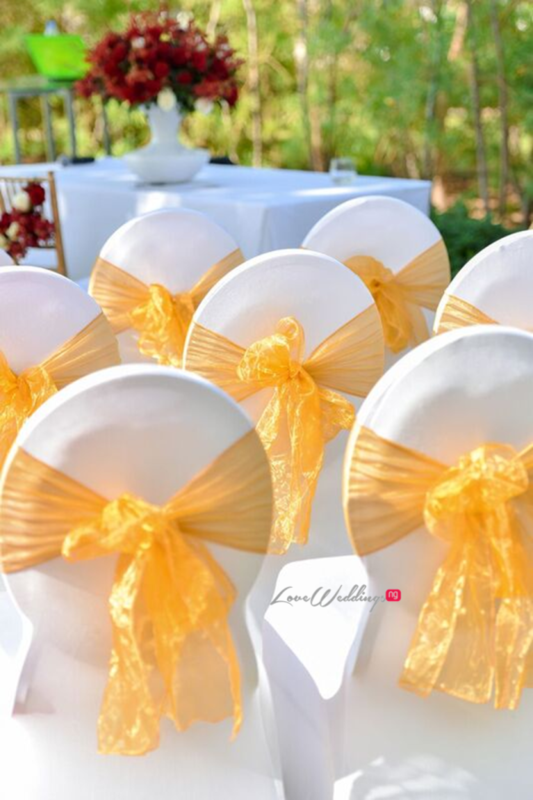 After the blessing ceremony, guests proceeded to the wedding reception, which took place at the ballroom. 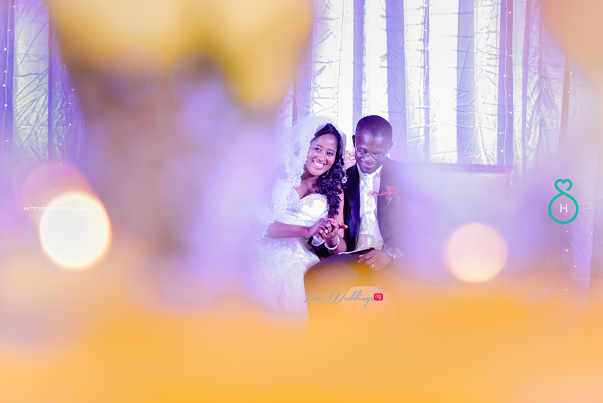 The ballroom was decorated with loads of candle and mood lights. 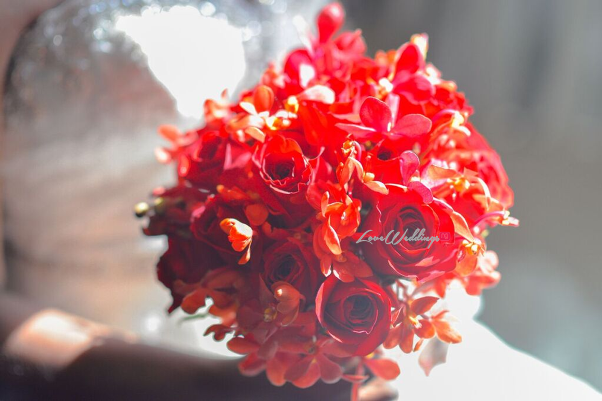 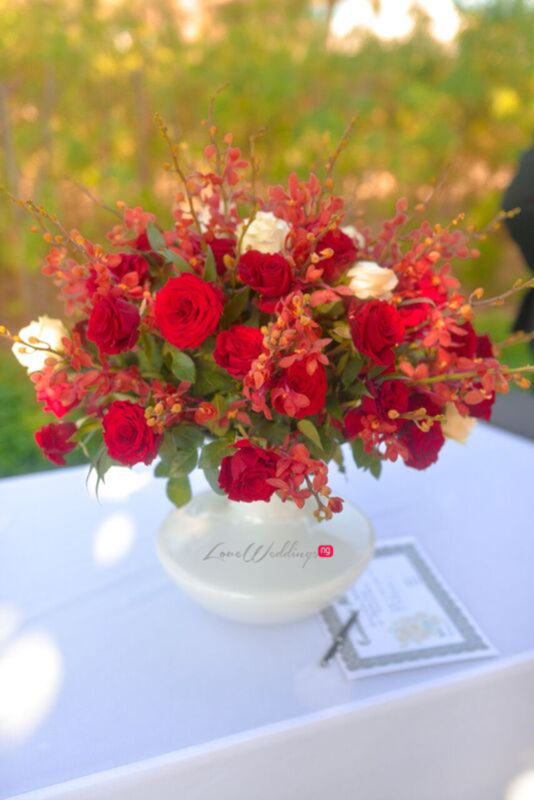 Centerpieces were made of red roses and orchids. 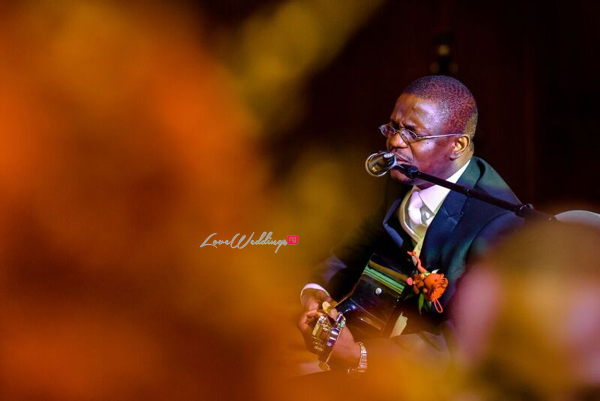 The best part of the wedding was the song written and performed by the groom for his beloved.